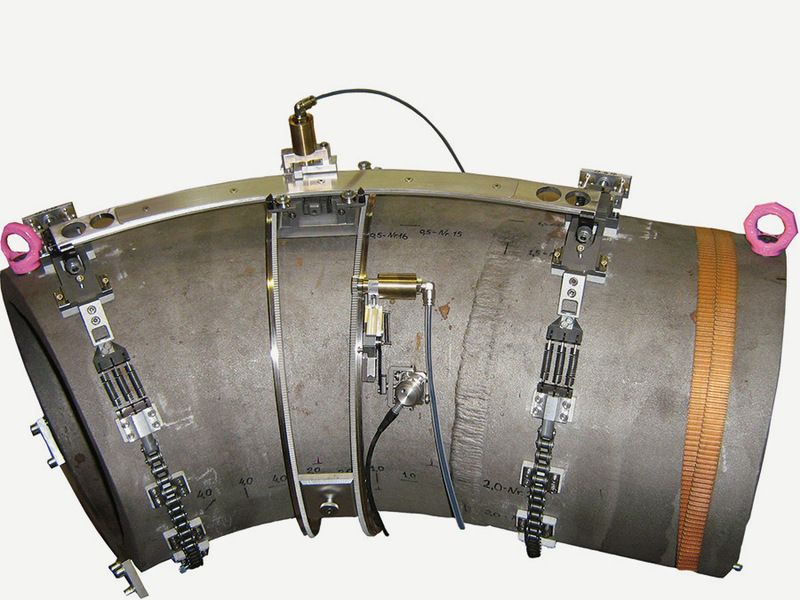 This manipulator is designed for the inspection of the surface of bended pipework with diameter of 6 – 8 inch under hot temperature up to 515° celsius. It can be used on austenitic and ferritic materials. Surface de- fects as well as sub-surface (only on austenitic material) can be detected within the base material and the weld.